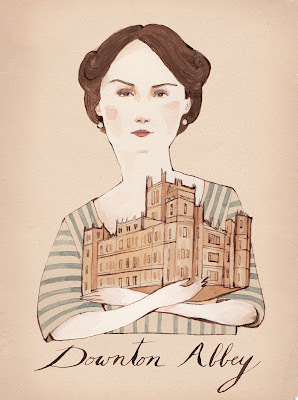 Kelsey Garrity-Riley Illustration: Because I want everyone to love Downton Abbey as much as I do. Because I want everyone to love Downton Abbey as much as I do. Wow, I love this!! I was thinking about doing a watercolor of Downtown Abbey, but this is even better than anything I could have dreamed up. I can't wait till the season 2 finale to be online!! Oh I saw this on Pinterest and I love it!! I too did Downton sketches! They are rough and I didn't paint them out~ but I love yours. Well done! Soooo pretty, it has this wonderfull softness of colours and atmosphere. Just great !!!! Wow, beautiful! An excellent likeness, and a lovely composition. Love. love. I raise my glass to this!